Home » RainyDayBusiness » Yay!!! Four More Years! The 2012 election concluded yesterday with a decisive Electoral College win (303 to 206) for President Obama. 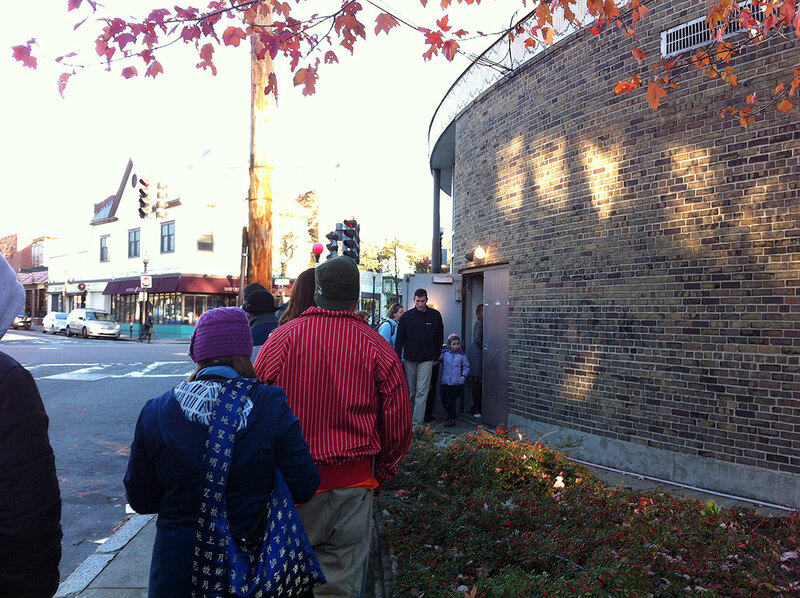 We went as early to our local voting place, but there was already quite the line at 7:30 AM. It was great to see the diversity of faces waiting to vote. Many even brought their kids! We were enthusiastic supporters of President Obama in 2008 and we are still so after four years. Thus, we were heartened to see that there will be another four years of going forward nationally (Obama over Romney) and six years locally (Warren over Brown). After six years of campaigning by Mitt Romney and billions of dollars spent by the GOP to share, paint, and push their vision of how the country should be run, the majority of voters decided that tolerance, fairness, and diversity are values they care more about than fear, privilege, and exclusivity. This country was built by immigrants. Its future success will depend on how well immigrants do academically, professionally, and personally. The Democratic party understands this. It welcomes and embraces it. The Republican party knows this, but has decided to ignore it, fight it, and even demonize it. When President Obama won in 2008 with an overwhelming show of support from African-American and Latino voters, the GOP chalked it up as a one-time event. However, the immigrant influence on the outcome of the 2012 election can no longer be ignored. The United States is always changing. There will always be new challenges. Those who understand this can be part of the solution. Being bipartisan is NOT about going in different directions simultaneously. It is about including those who may choose a different way onto the path that the majority is on. Yes, there is a lot of work to be done. No, four years is not enough to get it all accomplished. However, that is not the point. The point is to constantly be moving forward, no matter the size of the steps.